"The artist Albert Irvin, who has died aged 92, created an extraordinary body of abstract paintings, watercolours and prints. His work became prominent in the reinvigoration of British painting in the 1980s and 90s, and latterly became familiar through wide exhibition and reproduction. He made colour sweep and spray over pictorial areas that give the illusion of depth, created by complex and dynamic marks and gestures of the handheld brush. He often took on a grand scale, but also created brilliant and beautifully crafted works on paper. Irvin’s celebratory approach epitomised the idea of painting as the expression of the life force within the space of the image. His personal code of street names as titles was a cipher for this. Some, like Nicolson, stood for people close to him. Groups of paintings might capture significant routines: Plimsoll and Kelvin recall his match-day route to Arsenal’s old Highbury stadium in north London; others like Sauchiehall or O’Connell recall his favourite cities. His career defied every model of art-world success, but also characterised the struggles and ambitions of his generation. By the time of his first solo show he was 38. 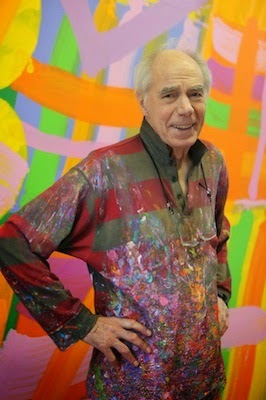 Eventually finding a wide audience in his 60s, he joked that he was “the oldest up and coming young artist in Britain”. That his work became ever more vibrant as he grew older was striking evidence of his affirmative view of life and art." An excerpt from Mike Tooby's piece in the Guardian the rest can be found here . 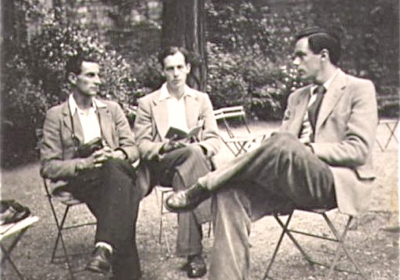 Photograph from Michael Canney's website a friend and contemporary of Bert Irvin's, Bert is on the right. 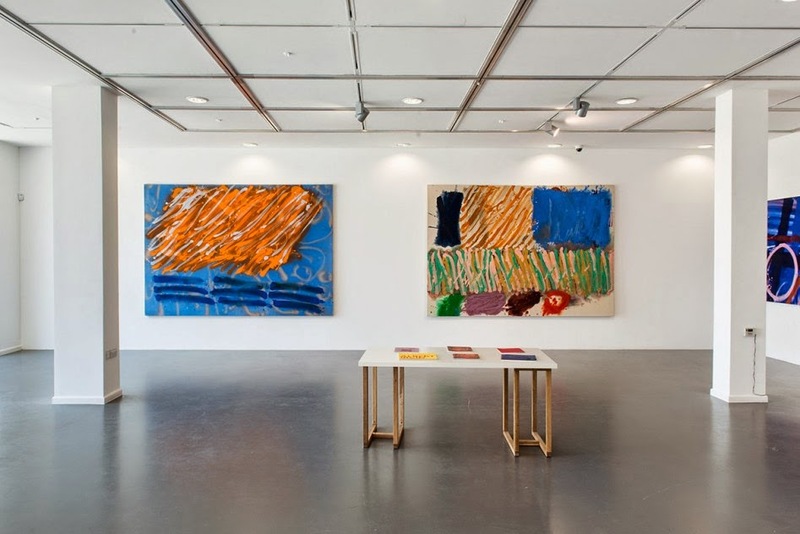 And this is a video of Albert Irvin talking in 2013 whilst exhibiting work at Plymouth College of Art. Gallery Shorts: Albert Irvin from Plymouth College of Art on Vimeo. His advice to young painter's: "Keep going and don't let the bastards grind you down."